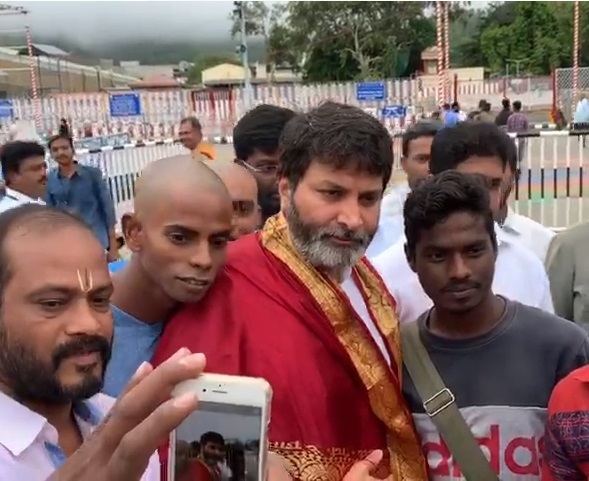 Popular director Trivikram Srinivas, who is riding high with the success of his latest release Aravinda Sametha Veera Raghava has visited Tirumala hill shrine on Thursday. He has offered prayers to Lord Balaji during the VIP morning hours after participating in the special puja rituals. After the prayers, temple authorities and archakas have offered prasadams at Sri Vari’s Ranganayakula mandapam.